Yep, the extra spacing in a castellated super will just about guarantee brace comb and other wonders... Sometimes, though, you just have to use what you've got. I noticed when you were closing up, you slide each frame back to it's original position individually. 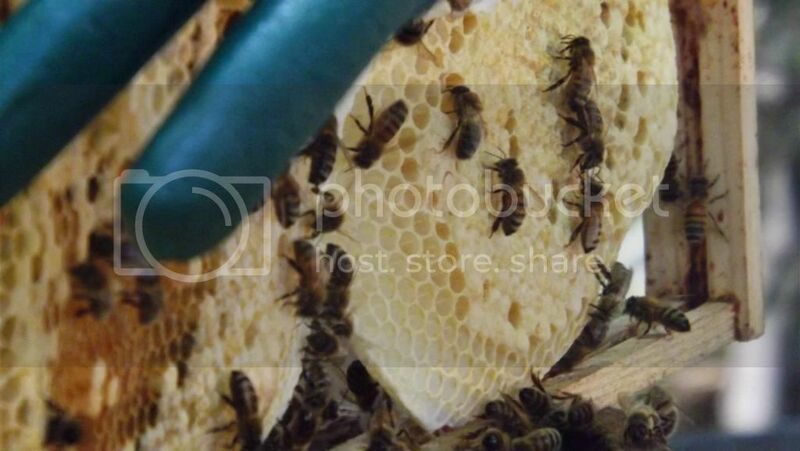 Each time a frame is pushed up against another, you risk squishing a few bees between the side bars. If you slide a block of 3 or 4 frames at the same time, you will only squash 1/3 or 1/4 as many bees. And of course you reduce the chances of an accidental queen removal. 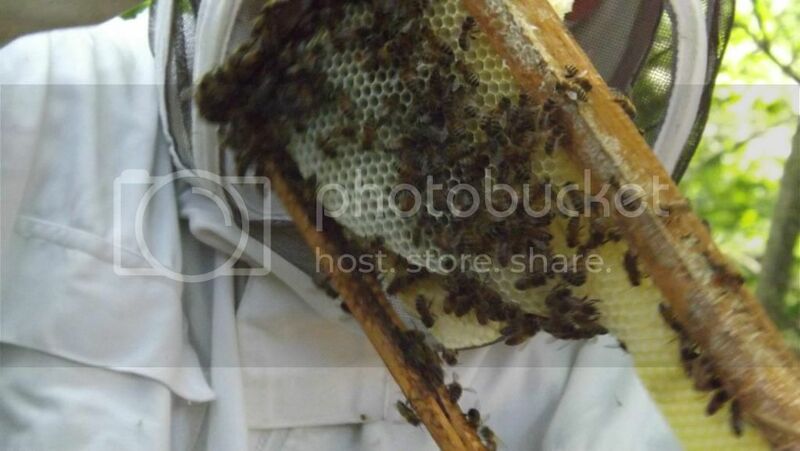 We use half inch wire mesh in the extractor buckets and spin slowly to stop comb breaking in the bush hives. 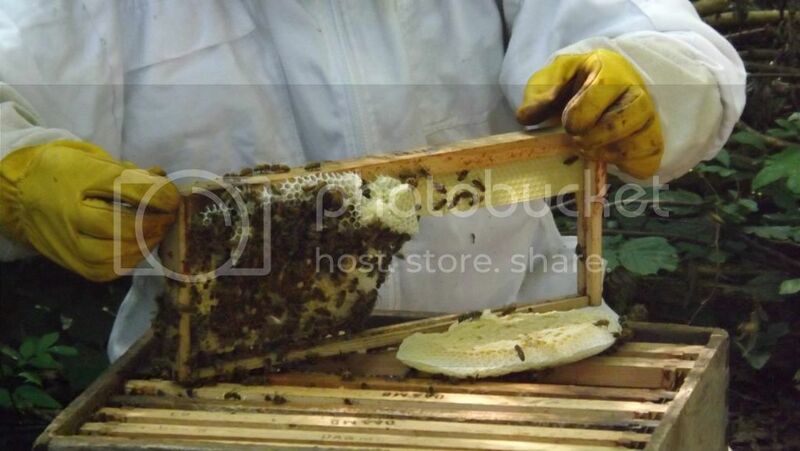 For our home hives we just crush and strain.